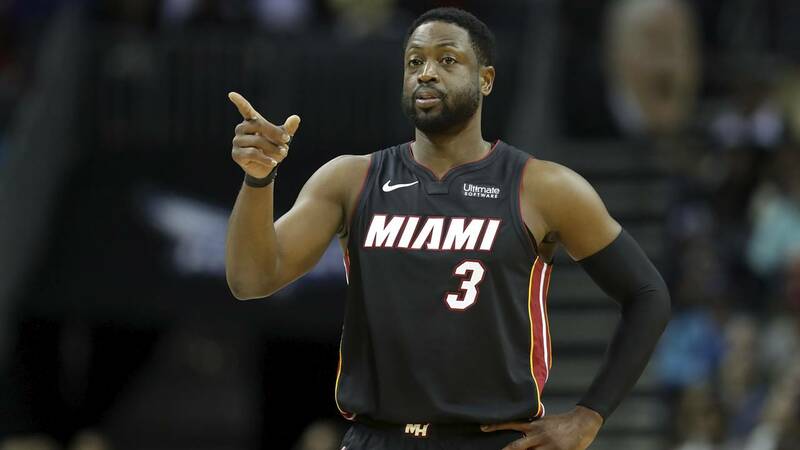 MIAMI - Dwyane Wade is missing Miami's game against San Antonio on Wednesday night for personal reasons. It's the first game Wade has missed this season, his 16th and final in the NBA. He's averaging 14.3 points on 45 percent shooting in nine games, all of them as a reserve. The Heat again will be without Dion Waiters and James Johnson as they recover from surgeries. Goran Dragic is questionable because of knee soreness after an MRI this week revealed some inflammation. Heat center Hassan Whiteside is expected to play, after sitting Monday with knee pain. The Spurs expect to have point guard Derrick White available off the bench for his season debut. White has been sidelined by a heel injury.